In the thick of the 1966 Batman boom, Ledger Syndicate and DC debuted a new Batman comic strip. Written by Whitney Ellsworth and drawn by Sheldon Moldoff (and, in turn, by Carmine Infantino and Joe Giella), the early strips seem to want to simultaneously imitate the 66 TV show, and differentiate itself from it. 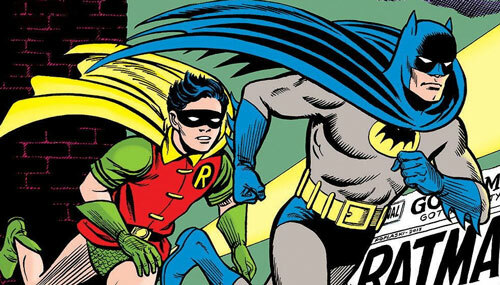 In this episode, we talk about IDW's collection of the early strips in Batman with Robin: The Silver Age Newspaper Comics Volume 1 (1966-1967) , including the schizophrenic quality of the strip, where the strip succeeds, and where it falls short. Plus, the mahalo.com guitar tutorial version of the theme, and your mail on the Stanley Ralph Ross interview (and the infamous Gemini 8/Catwoman incident! ).